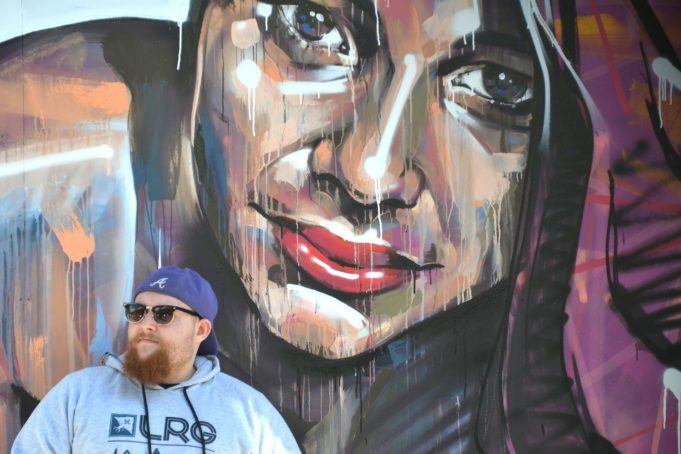 Chunkyluv is not your average artist, the singer/producer is slowly rising in the Australian music scene and with his latest release ‘Peacock’ is anything to go by, it’s a sign of many great things to come. The Action Bronson doppelgänger wants to create music that puts his audience in a trance, a sense of utopia where for a few minutes you could just feel good. We sit down with Chunkyluv and talk about his future releases, why not pressing records is his biggest pet peeve and his favourite ramen flavour. You just released a new single called ‘Peacock’ could you tell us about it? Mateo X and I were in the studio vibing out and I came up with the guitar and started adding everything around it, after a while we started with the hook first and set the tone of the song and we just wanted it to be about not caring about anything not worrying about anything even if it was for only 3 minutes and 5 seconds! When Mateo read me his verse and said, “Straight peacocking,” I was like yep that’s the name right there. How did you and Mateo X link up? We went to school together, I was a couple years above and had already finished doing music in college but when he finished he hit me up and said he wanted to record some stuff and now here we are a couple of years later. Will your future releases be similar to this style? I like vibing with whoever I’m working with at that moment and bring out whatever the track is flowing towards rather than trying to create my own sound and push that onto the session. A lot of what I’m working on with Mateo is a mixture between those electro synths and hip hop bass, drums and percussion to create a nice mix! Not pressing record when I’m playing with ideas and then forgetting them forever. Such a pain..
You did a lot of house and electronic before, why the change? When I started really getting into producing it was what i wanted to really learn so I practiced and made songs in that style mainly so that I could then build off that knowledge and if needed be able to mix those sounds and ideas into whatever I was making which lead into the trap soul vibe going crazy and a lot of the ambient pad & synth sounds I’d already created I could use as moulds for new sounds to fit the genre. What’s your favourite flavour of ramen noodles and why? If I’m trying a new spot I’ll go something basic like a pork shiromaru, always killer or if I’m feeling spicy I’ll get Ippudo karakamen.